Bringing over 30 years of horse training expertise, Farah DeJohnette’s talent in competitive horse training blended with her Natural Classical Horsemanship and Holistic programs, make her a uniquely skilled Trainer. Spending the better part of her youth taking lessons, working, and apprenticing for various local trainers in the Woodstock, NY area, Farah began her first intensive apprenticeship with the Williamsburg Farm in 1995, home to the great Olympic stallion Abdullah and state of the art breeding operation. While competing and training some of their young stock, Farah began learning all the aspects of the professional equestrian industry. After working at Williamsburg Farm, she returned to the Woodstock, NY in 1996 to work part time for Pat Jacobson, Trainer, Equine Author and Artist. At the same time, she continued to bring her warmblood mare, Finessa along in her training. In order to keep advancing her career, Farah moved to Connecticut in 1998 and worked with Jenni Martin and her partner Steve successful FEI Grand Prix Jumping rider and Trainers on the West coast circuit. working with acclaimed Dressage master, John Winnett, seven-time Olympian in Dressage and Jumping, and his wife Roanne, a Top Eventer. 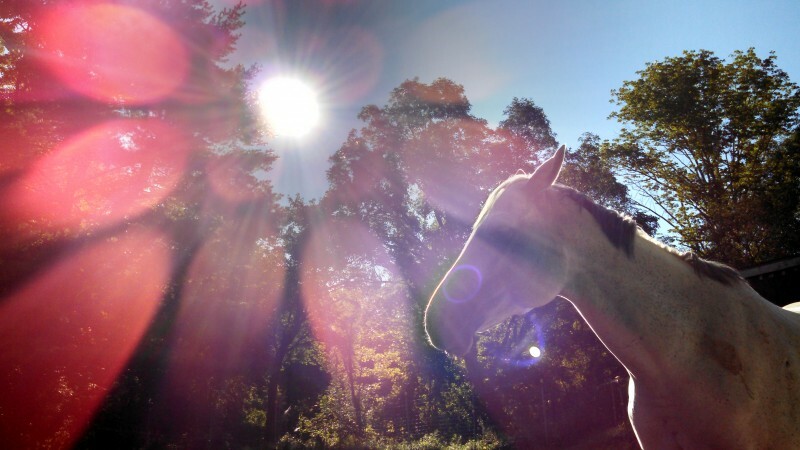 Returning to Connecticut in the year 2000, Farah started working towards her own business, Farah DeJohnette Horsemanship. She began working with Virginia Leary, top Eventer and FEI Dressage competitor. Farah is currently receiving guidance from Bettina Drummond with her own horse, and is competing, coaching, training, instructing and traveling internationally for clinics. Farah has studied, is influenced and inspired by many Master horseman. Of particular importance are Horseman who she feels truly innovated in their respective areas. Nuno Oliveira, Bettina Drummond, Linda Tellington, Carolyn Resnick and possibly her biggest influence, her father Jack DeJohnette as Farah feels it is he that gave her an open artists mind to create and flow with horses and listen to their music and fit in with them organically and mindfully so that they may co-create together. As a self professed student of the horse, she continually studies horses, the art of Communication and dancing with them and Horsemanship. FDHorsemanship’s scope is broad and integrates many different methods. It is much more about how we approach a horse with whatever we may bring to him. FDHorsemanship’s Innovative and fun Liberty-Ground-Mounted approach is a blend of Classical Dressage inspired True Natural Horsemanship, Balanced seat riding, Yoga Principles and FUN! FDH also encourages Natural horse keeping and Holistic wellness programs!